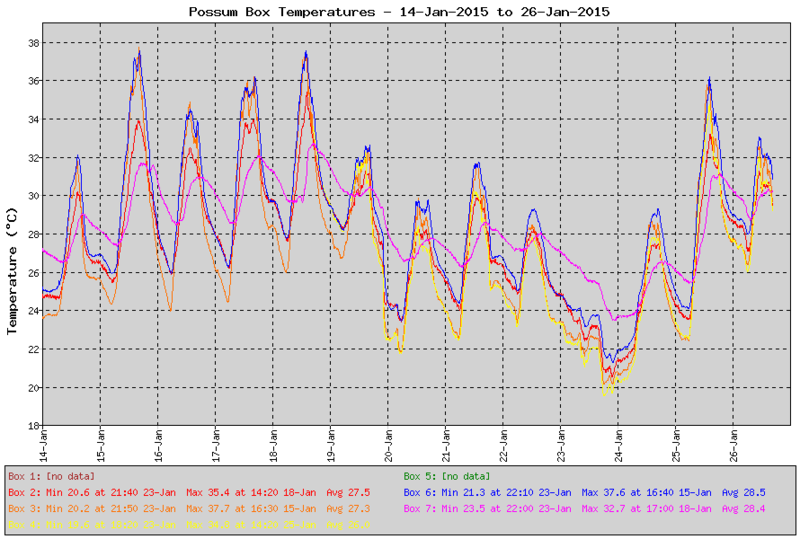 Early last year, I promised to put a graphical display of the possum box temperatures on the Possum TV site. I've now finally got around to doing this. There should be a "box temps" item on the menu at the top of each page (you may need to do a refresh to see this) which leads to the new box temperatures page. Simply select the box(es) and date range you're interested in and click [Show Temperatures]. You should be rewarded with the appropriate graph. This hasn't had much testing, so there might be bugs in it. If you see anything that looks weird, feel free to email me or post something on this blog. Two known (deliberate) limitations are that it currently only supports displaying up to a month's worth of data at a time, and it only samples the data at 10 minute intervals when you select a period of over a week. This is generally not noticeable on the graphs, but it makes the statistics shown at the bottom not completely accurate (although there should be little difference in practice). These things were done to reduce the load on the server, and I might change them later, but I thought it would be better to be a little cautious at first. You might also find that when displaying the current day's data, it won't automatically refresh with the very latest data when you click [Show Temperatures] again. This is a caching issue which I will look at later. For the time being, you can get around this by refreshing the page and then clicking [Show Temperatures]. Boxes 1 and 5 will currently display no data. This is because Box 1 has no temperature probe, and Box 5 no longer exists. Temperature data for Box 4 only goes back to last Sunday when I finally installed a temperature sensor in that box. Now all I need is for possums to start using the boxes again. Finally, just for interest, here's a relatively recent picture of Comet. 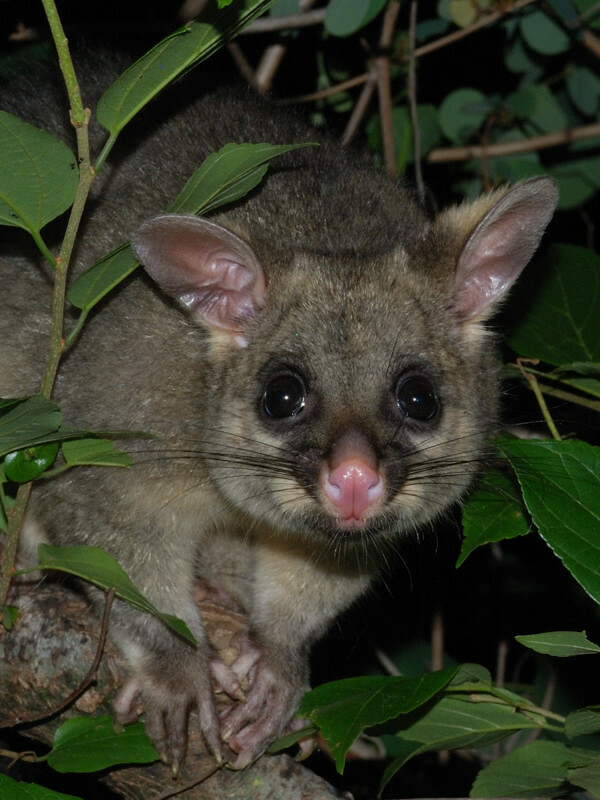 From this angle, he looks more like an adult possum than usual.